After 20, 30, or even 40 years of marriage, countless vacations, raising well-adjusted children, and sharing property and finances, what could go wrong? 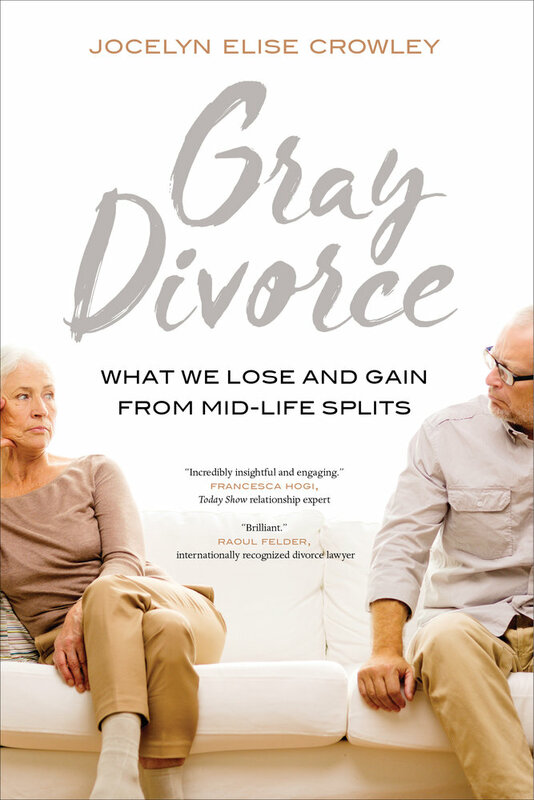 Gray Divorce is a provocative look at the rising rate of marital splits after the age of 50. Renowned author and researcher Jocelyn Elise Crowley uncovers the reasons why men and women divorce—and the penalties and benefits that they receive for their choices. From the outside, many may ask why couples in mid-life and readying for retirement choose to make a drastic change in their marital status. 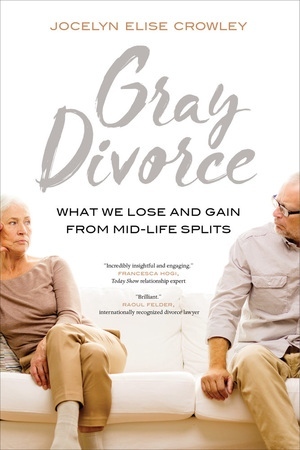 Yet, nearly one out of every four divorces in the United States is “gray.” With a deft eye, Crowley analyzes the differing experiences of women and men in this mid-life transition—the seismic shift in individual priorities, the role of increased life expectancy, and how women are affected economically while men are affected socially. With a realistic yet passionate voice, Crowley shares the personal positive outlooks and the necessary supportive public policies that must be enacted to best help the newly divorced. Engaging and instructive, Gray Divorce is a must-read for anyone interested in contemporary American culture. Jocelyn Elise Crowley is Professor of Public Policy at Rutgers, The State University of New Jersey. She is the author of The Politics of Child Support in America, Defiant Dads: Fathers’ Rights Activists in America, and Mothers Unite! Organizing for Workplace Flexibility and the Transformation of Family Life.